Sharon, CT – Photographs from the set for the Sharon Ridge Residence. 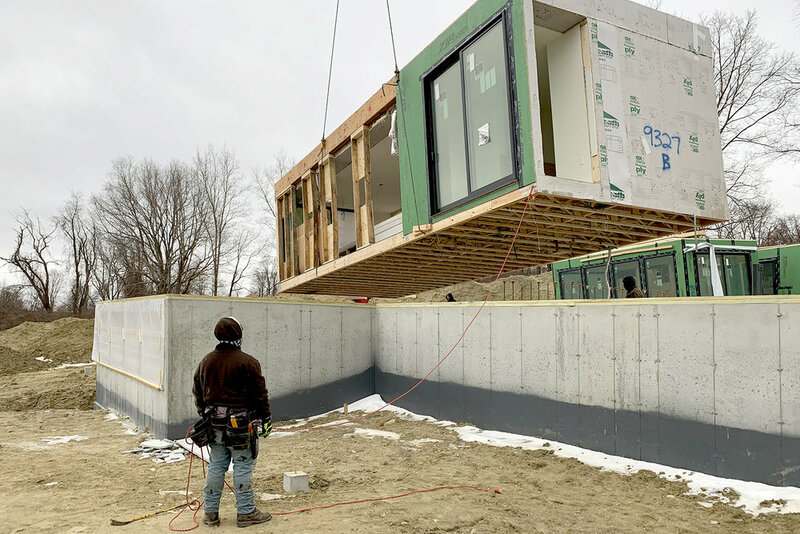 Starting in the morning, four modules were lifted by a crane and set on the concrete foundation by noon. Amenia, NY - Steel erection is complete; floor & roof joists are installed; and exterior wall framing & sheathing is in progress. Windows are currently being fabricated in Portugal for a February delivery. 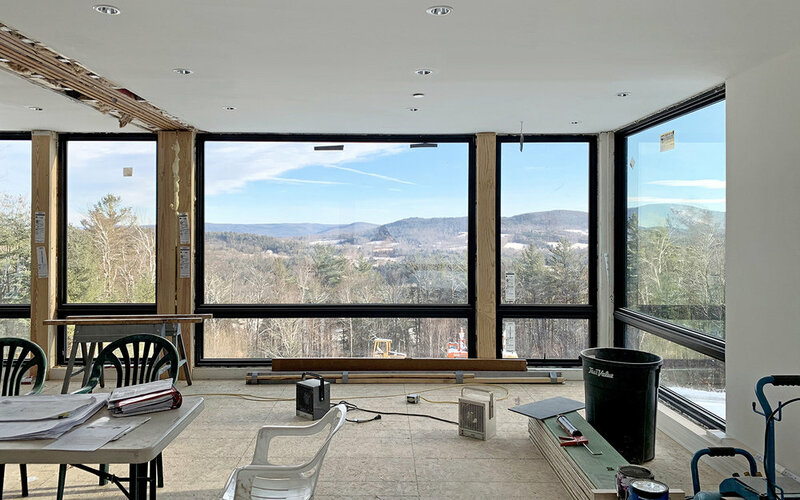 West Stockbridge, MA – Video from the two day set for the West Stockbridge Residence. 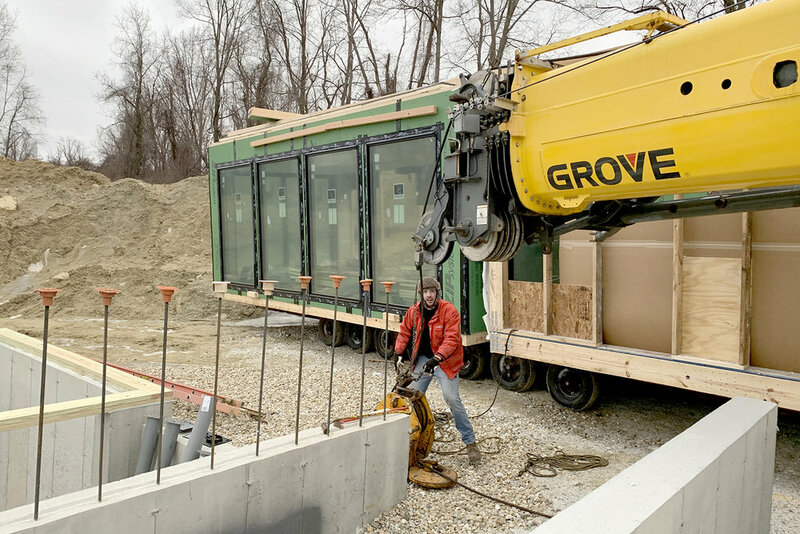 8 modules were lifted by a crane and set on the concrete foundation through the rain and snow. Check out the video below! 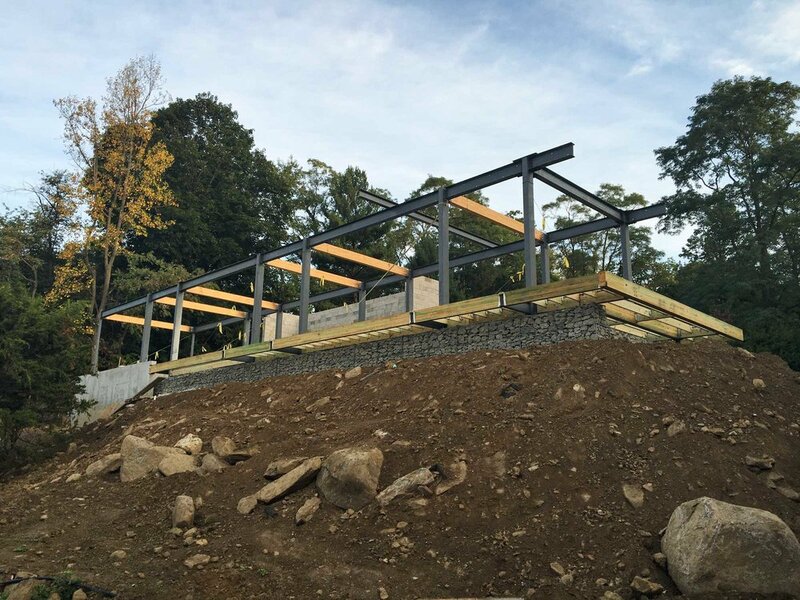 Sharon, CT - Construction of a 1,440 square foot house comprised of four prefabricated modules has begun. 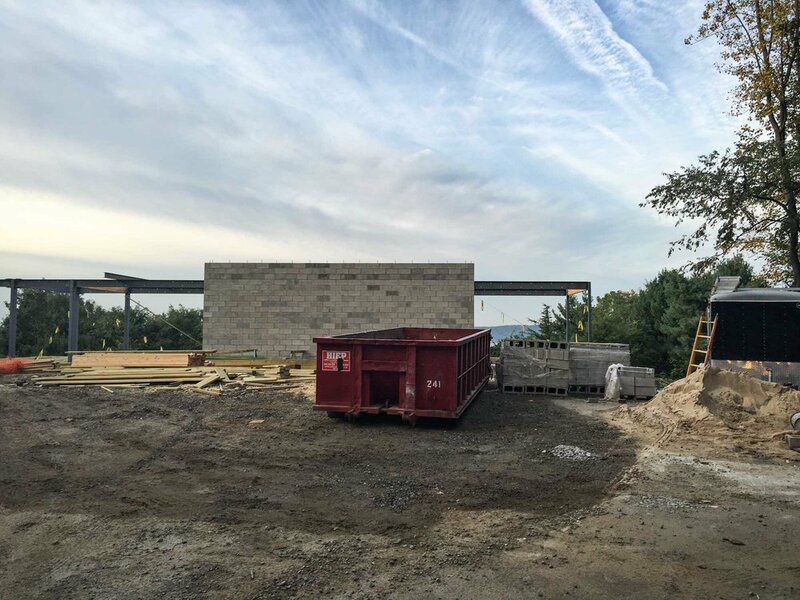 Concrete footings have been poured and the formwork for the foundation walls are going up. 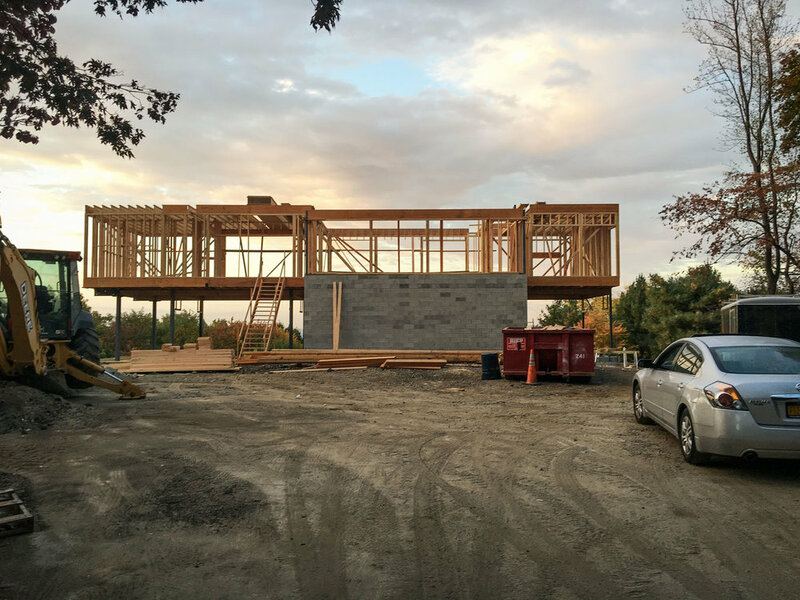 Check out some progress photographs! 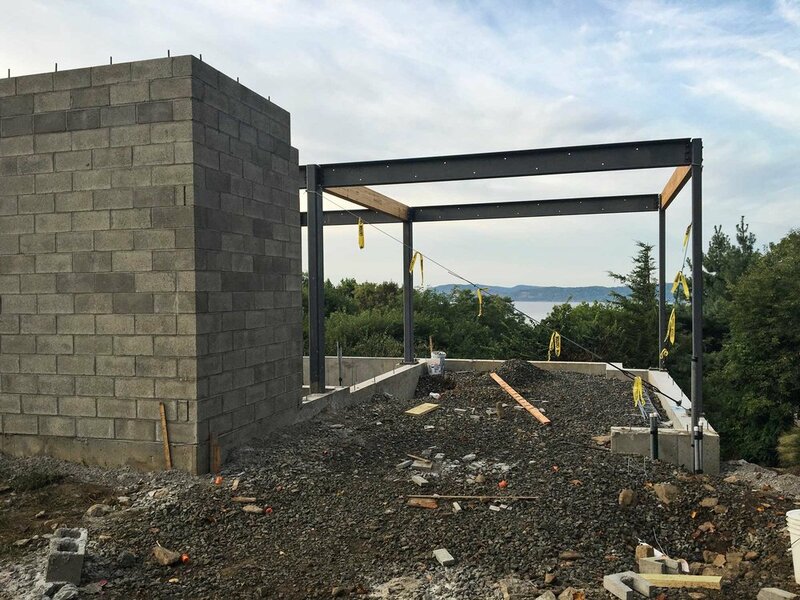 Construction is well-underway at the Hudson River House! Clear anodized aluminum Western Window Systems windows have been installed throughout the house. Ductwork is in and the supporting mechanical equipment is being installed. 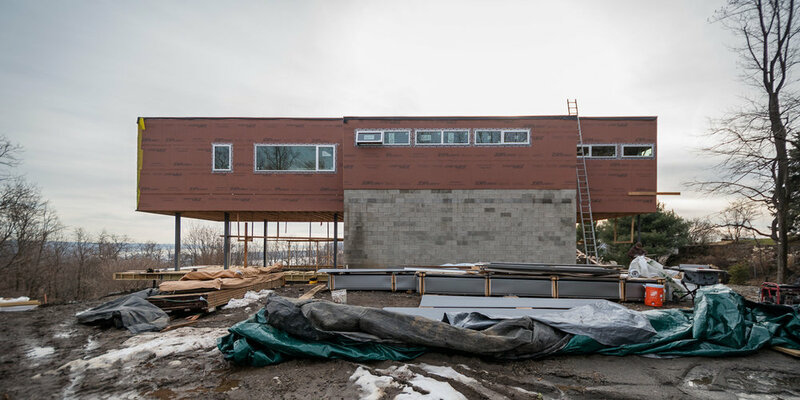 Kynar-coated corrugated steel siding in being installed on the Main Floor and natural ipe 2x2 trim outlines each bay of windows. Check out a few progress shots! New York, NY - Townhouse construction moving along nicely. All ceiling lights Installed throughout the home. Brooklyn, NY - Insulation installed between the metal studs and spray foam insulation has been applied to the ceiling of the Park Slope Townhouse. Below is a view of the Master Bathroom skylight. Brooklyn, NY - Framing and structural steel work is complete. Windows and doors have been installed. Brickwork on the front facade is progressing. Soon, the interior walls will be closed. View of front facade from interior. Three large windows mark the entrance of the townhouse. 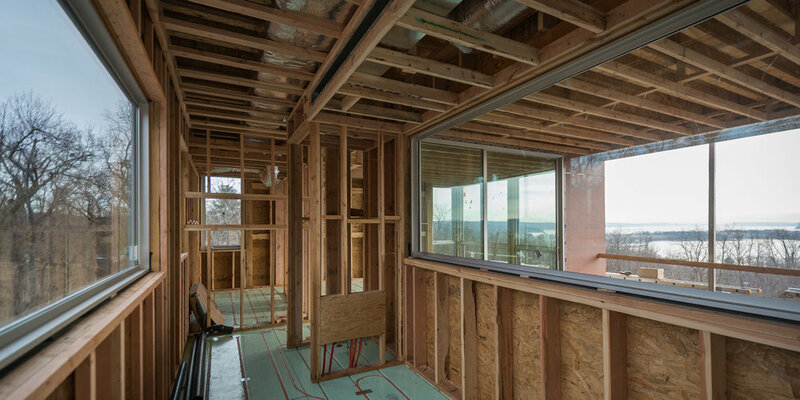 Arlington, VA — Construction is making great progress at this site-built house in Virginia! An angled concrete pier and an exterior wall with acrylic tubes are among some of the unique concrete details. A view of the rear facade. A close-up of the overhang of the second floor. An interior shot of the wall and ceiling framing. The retaining wall with the acrylic tube detail. A view of the house from the street. 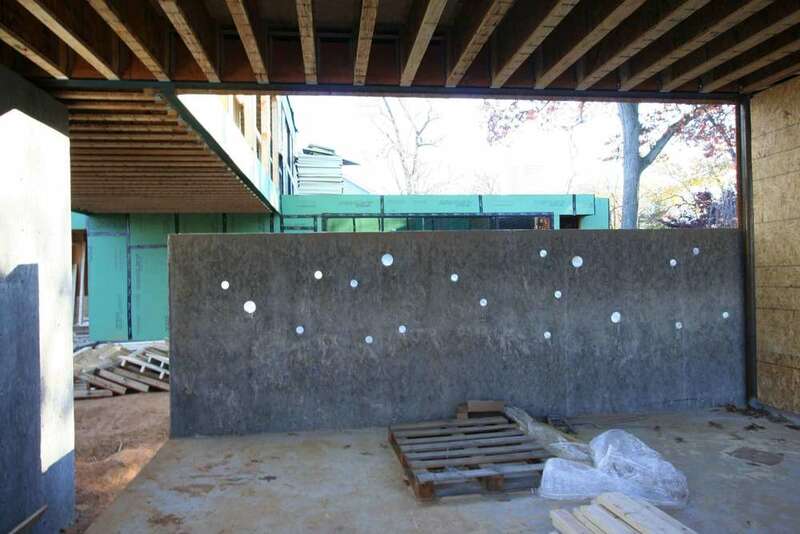 Croton-on-Hudson, NY — Demolition is underway at the site of the Hudson River House. Once the existing house is removed, the site will be prepared for the construction of a new site-built single family home. NORTH FILLMORE HOUSE – CONSTRUCTION BEGINS! Arlington, VA - Construction for this 6 bed, 4/5 bath residence has begun! Concrete footing have been poured, foundation walls to come next. Stay tuned for more updates! 13th Street, Brooklyn, NY - Neutral textures and patterns are paired with pops of color in this Brooklyn brownstone project. 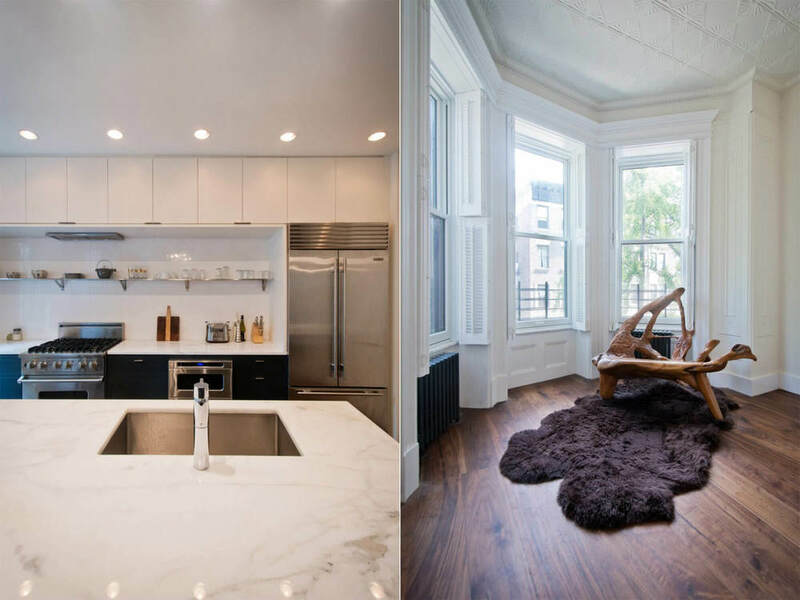 Kitchen (left) - marble countertop kitchen island. Living room (right) - interior view of modern wood furniture in brownstone turret. Kids Bedroom (left) - friendly goat complemented with orange paint. Dining room (right) - dining room area adjacent to the kitchen with tons of natural light. Bathroom (left + right) - Minimal and clean modern design with floor to ceiling tiles and translucent glass door. Future Friday! 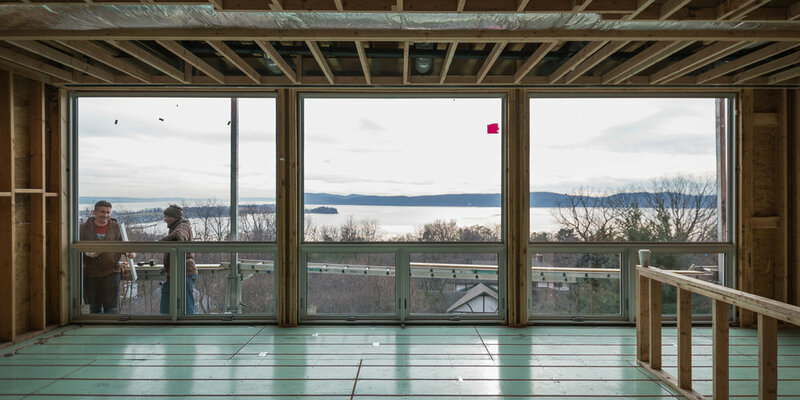 "Hudson River House" This new project is a 2181 sf site-built Single-Family home in Cronton-on-Hudson, NY. This 120' long home frames uninterrupted views of the Hudson River. Take a look!